In this Volunteers' Week we celebrated the success of NIAMH Volunteers and staff from the Living Well, Living Longer project who recently took part in NICVA's Management of Volunteers course. 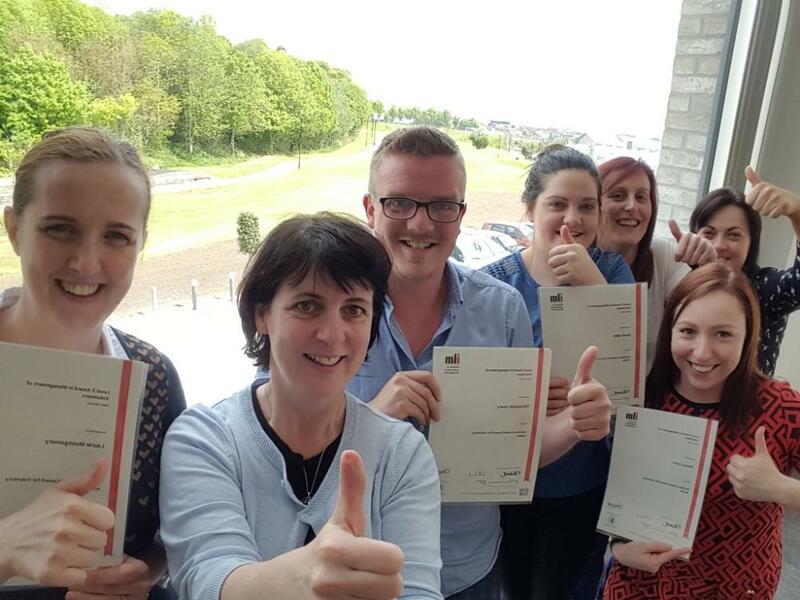 Pictured are those who successfully achieved an ILM Level 3 Award in Management of Volunteers qualification as part of a two day course delivered by Volunteer NOW and NICVA's Skills Development team and funded under the Big Lottery Reaching Out: Connecting Older People project. Roisin Kelly, NICVA's Skills Development Coordinator was delighted to join the staff and volunteers at an informal special ceremony held in The Junction, Beechvalley, Dungannon, to celeberate this fantastic achievement. Roisin said "I wish everyone every success in their future endeavours and would encourage you all to take part in other relevant opportunities provided by BIG Lottery for your own continuous professional development". Living Well Living Longer is a NIAMH service designed to help people over the age of 60 to live safely and independently in their own community. For further information on the service, visit the website.